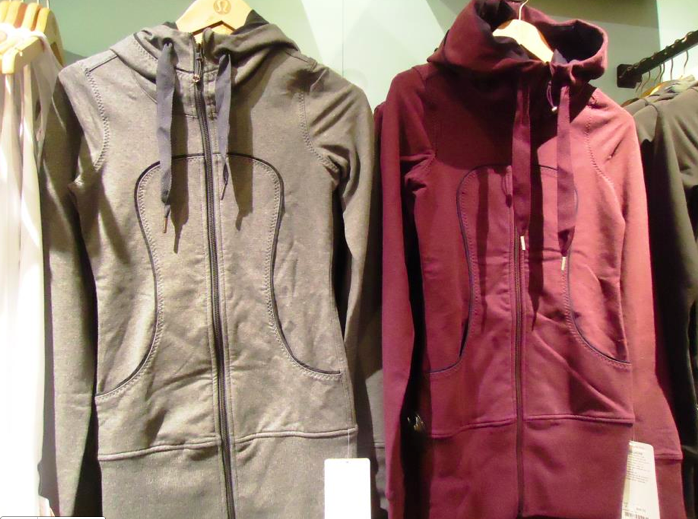 New in Store Today! 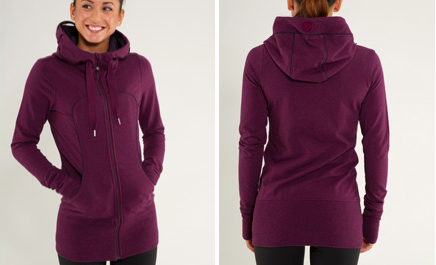 Apres Pullover, Live Simply in Plum, Scuba Hoodie in Plum Stripe….So Many Things!! 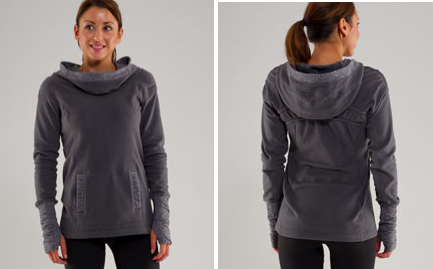 This is another high pile ‘sherpa’ fleece pullover and since it comes in Black Swan I think I will give it a try. I love the cuffed hem of the Don’t Hurry Be Happy Pullover but I think the neckline and color in this one will be more my preference. 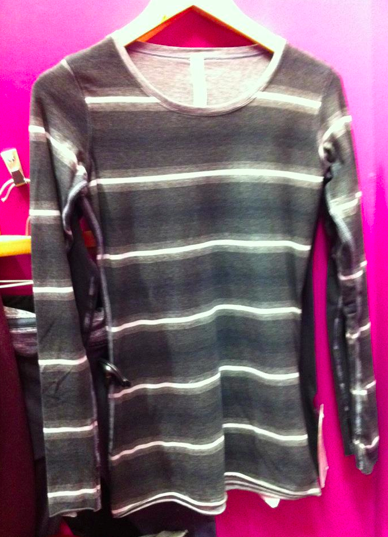 Heathered Black Swan/Plum Stripe Scuba. 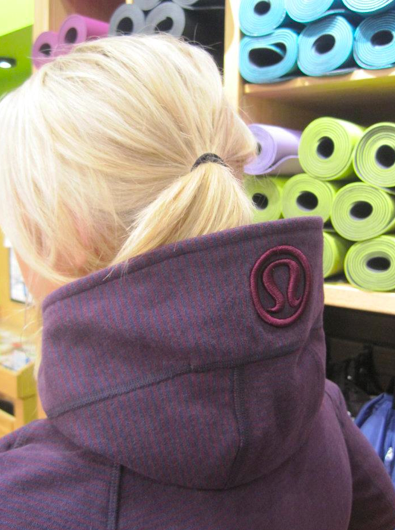 "Lululemon Continues to Oversell Inventory Online"
How much is the Live Simply? That plum colour is very pretty! 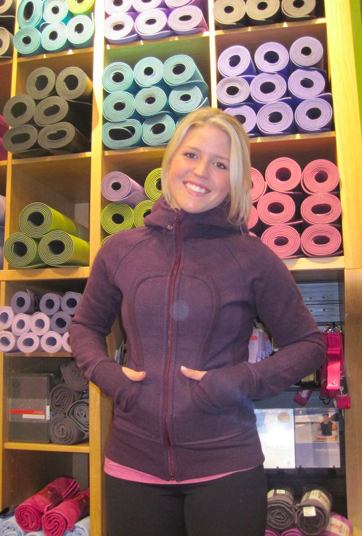 My DHBH pullover is on its way and im already coveting the equinamity pant, power technique tank, and RFT pullover… Soooo hard to choose bc its soooo hard on my bank account, lol. Wish i could order them all. Anyone know how much the apres run pullover was? Anyone low how much the apres run pullover is?